Kashid is an awesome weekend paradise, situated right between Mumbai and Pune. To make that trip even more exciting, we’ve found this beautiful villa that is on one acre of forest land and is just a 10-minute walk away from the beach. 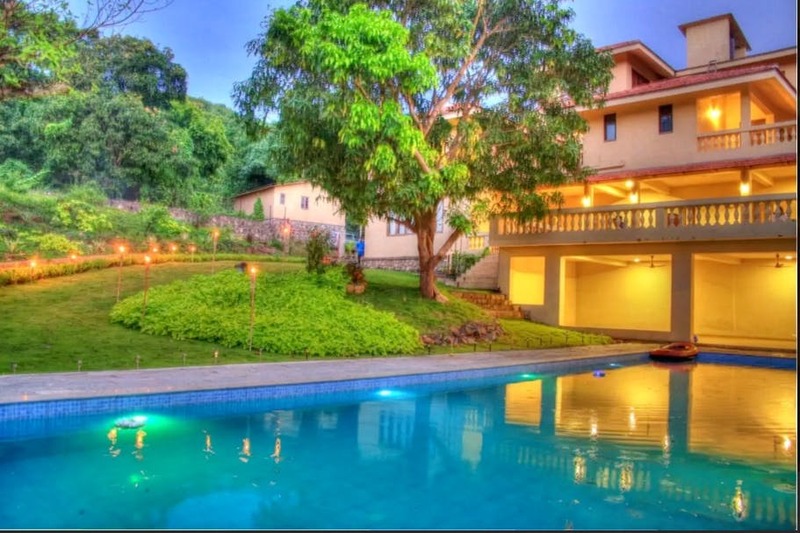 If you’re in the mood to spend some time playing catch up with nature, a beach on one side and lush-green hills on the other, this villa will help you do just that. The villa boasts of six spacious bedrooms, a lounge room, a swimming pool, an outdoor shower (in case you want to head out to the beach and rinse later), a trampoline in case you’re going with kids and even a game room for indoor games. The villa can also be used for corporate events and can house a total of 35 guests. With a number of restaurants for all types of foodies in the vicinity and even the beach being just 200 meters away from the villa, it’s a great place to unwind and get rid of the city blues. Another thing that’s recommended is a walk in the forest from the villa, to enjoy the greenery. You also have the option of playing badminton, table tennis, indoor soccer and cycling around the villa. You can get food home delivered to the villa and in case you need help, the caretaker will assist you. Also, since it’s an Airbnb property, you will get to know the exact location once you’ve booked your stay. Head out there with friends and family for a unique, luxurious experience away from the city. You could visit the beach, eat the local fare or even take a walk in the forest – all of it to make sure you have the time of your life.